Welcome to Fire Command Training, the best source for fire service training anywhere. If you are interested in attending, organizing or sponsoring any type of fire training including lectures, workshops or hands-on-training, you have found the right place and the best people. New ideas are what we’re all about. We’ve combined these new ideas and practices with some of the traditional delivery methods to provide the attendees with an effective learning experience. We guarantee this will be the best training you’ve ever attended! The following list of subjects is just a sampling of the programs that are immediately available from Fire Command Training. These programs are both interesting and entertaining and are some of the more popular ones with audiences across the country. Covers engine tactics from response to fire extinguishment. Attack line selection, hose length estimate, nozzle team tactics, nozzle selection etc. Includes conventional forcible entry and through the lock. How to use power saws (circular & chain saws) to cut and vent roof and for forcible entry on locks and gates. A presentation describing the value and importance of using live fire training versus simulated burning building training or even worse, non-fire training. A program that explains the technical and practical positions for the first and second hoselines at various types of structures. Also covered is exposure protection. Explanation of both engine and ladder duties at fire in stores or strip malls. Forcible entry, ventilation and hoseline tactics are discussed. A different take on the incident command system. This lecture describes what many ICs are really doing at fires. An examination of the lack of radios on the fireground and the negative impact this has on firefighter safety and operational effectiveness. A down to earth look at what the typical firefighter really must know to operate effectively at structural fires. 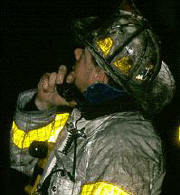 A look at the command responsibilities of the incident commander when a "Mayday" is transmitted. 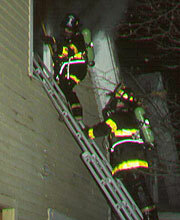 A basic class on ventilation including horizontal and vertical tactics. Venting for life and fire is discussed. Some high rise tactics. When the fire does not go as planned we may have to go “Defensive”. This class describes how to set up and operate in the defensive mode. A short class on the value and importance of closing the door to the fire area when entering for search and rescue. Pros and cons are discussed. This is a course that describes the tactics that may be necessary when a single building fire spreads to an adjoining building. Alarm assignments, hoseline operations and truck duties. After a mayday of collapse we must account for everyone quickly. This class describes some quick and easy tactics to conduct a rapid and accurate headcount on the fire ground. Describes the many duties and responsibilities of the engine officer from alarm receipt to fire attack. 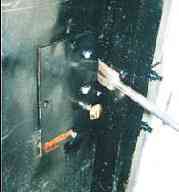 Describes standpipe and hoseline positioning for engine companies in high rise fireproof buildings. 19. Training Your Firefighters to "Get Out Alive"
Training and tactics for firefighters to enable them to escape from deadly situations inside burning buildings. This is one of our most popular courses. 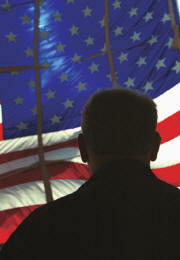 It has been presented at the FDIC in 1998 and the Firehouse magazine Expo in Baltimore in 1997. There is also a hands-on class to go with this program. This program takes a serious look at several recent firefighter fatalities and the unique individual factors that contributed to the tragic outcome. It also discusses the actions we can take to prevent these events from reoccurring. Chief Salka discusses some of the many challenging situations he has been in during his 28 years with the FDNY. Not only fireground leadership but how to handle the troops back in the firehouse. This is a great program for company and chief officers. Everyone is doing RIT but will it work. Do you have a "trained" Rapid intervention team or do you just load the rig with whoever shows up for the run? This program will outline the basic rules of the road for setting up and running a successful rapid intervention team in your department. When you move up from company officer to chief there are lots of things you need to do differently. 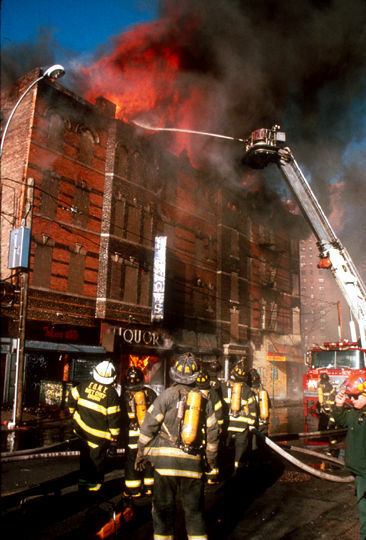 Chief Salka, who has been an FDNY officer for 20 years and a chief officer for the past 10, will share many of the lessons he has learned on the fireground. Topics such as initial fireground operations, ICS, safety & accountability, progress reports and fire control estimates, search procedures and results, multiple alarm situations, offensive/defensive operational modes, strategy & tactics. This program deals with the firefighters ability to know where they are and not get lost. Many firefighters are lost before they run out of air or panic. Learn how to "Map the room" and stay safe while operating in zero visibility. This is a training evolution that most firefighters have never seen. Don't miss it! This program outlines the specific tactics and procedures that need to be addressed at a fire on the top floor of a flat roof building of ordinary construction. Issues such as the hoseline stretch, involvement of the cockloft, exposure problems, roof access limitations and roof ventilation operations. 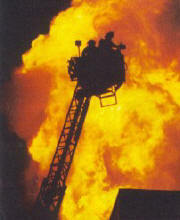 High rise fire operations are quite unique and challenging for any fire department. This dynamic program examines the skills and abilities that are required for this operation including locating the fire, elevator operations, Supplying the standpipe system, communicating with occupants, mustering fire forces at the point of attack and performing the fire attack function. This program is an examination of the most common and deadly fireground incident, the house fire! Topics that are covered are; locating the fire, starting the attack hoseline, getting the roof, starting the search and protecting exposures. These and many other important issues are addressed. This is another of chief Salka's leadership programs that will help you lead your company or department to success. Many of the leadership skills that the chief practices every day in the FDNY plus some interesting items from other leaders such as Gen. George Patton. Find out how to get the firefighters and officers in your department to "take it up a notch"
This program is an overview of several of the new firefighter bail-out systems that are available. It includes some history firefighter survival training and describes the systems offered by RIT RESCUE, PETZL and SPIDESCAPE. This is a program that describes several interesting training events that can be conducted in just about any fire station. The skills and props that are required for the following training subjects are covered; SCBA Emergency Skills, Hoseline Stretching, Power Saw Operations, Firefighter Survival Tactics and Forcible Entry. 31. Are You A Survivor? Join Chief Salka as he discusses and examines some of the physiological reactions that humans display when faced with danger. 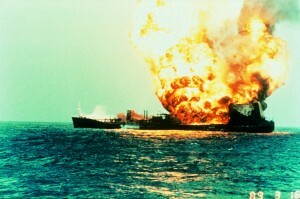 Learn how to best train yourself and your crew to remember and react properly to sudden hazardous situations. Find out what "muscle memory" is and how it can save your life. 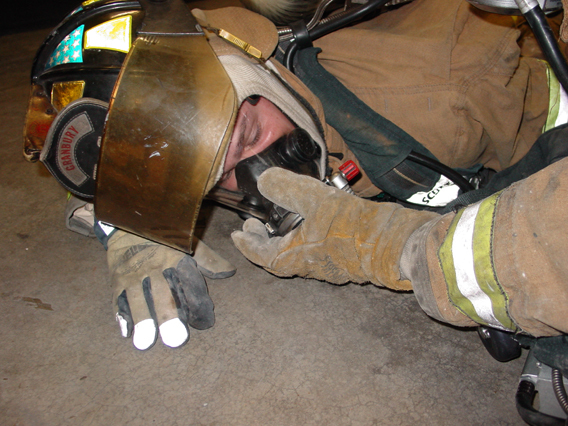 Firefighter survival is not always about jumping out a window or finding your way out. Sometimes it is as simple as thinking.